When my plans to shoot fall colors out west did not work out, I decided to have some fun shooting in and around Shenandoah. 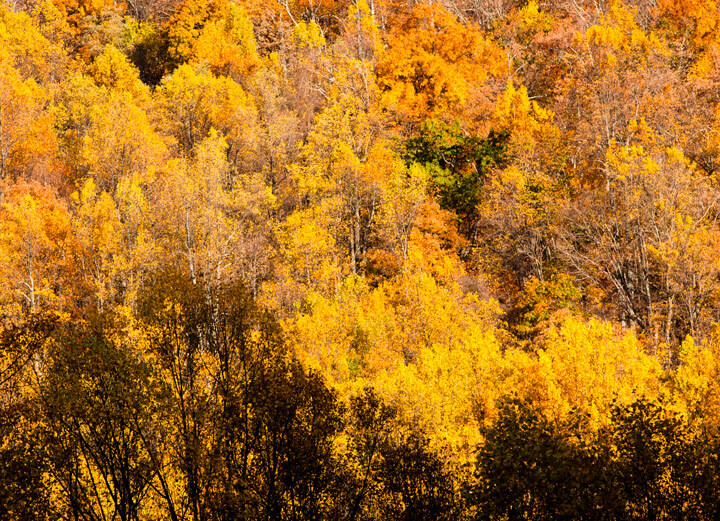 It was a warm, late fall with spots of wonderful color. We also enjoyed some truly vibrant sunrises and sunsets that led me to make several pre-dawn trips to Shenandoah to enjoy the splendor. 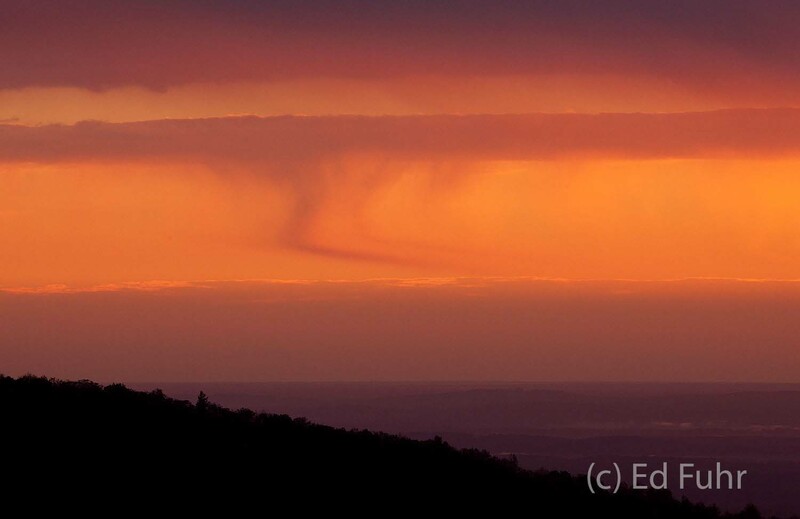 A rich tapestry of colors glows in the early dawn light. . Photo © copyright by Ed Fuhr. 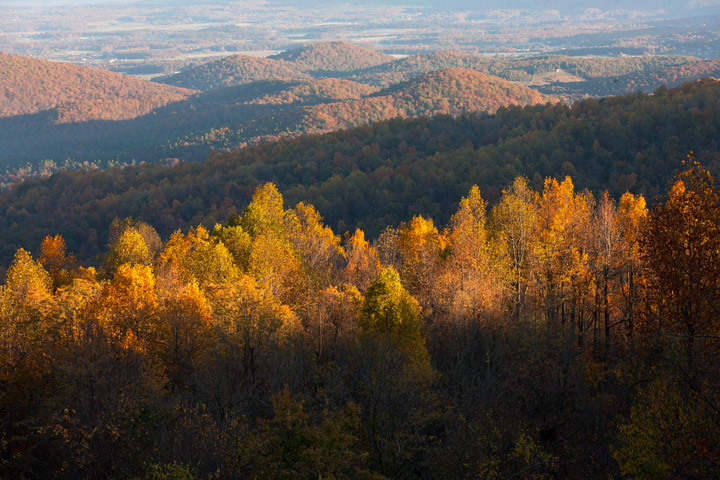 Peak colors sometimes lasts only a few days atop Shenandoah National Park. But during those days, the park is radiant. Photo © copyright by Ed Fuhr. 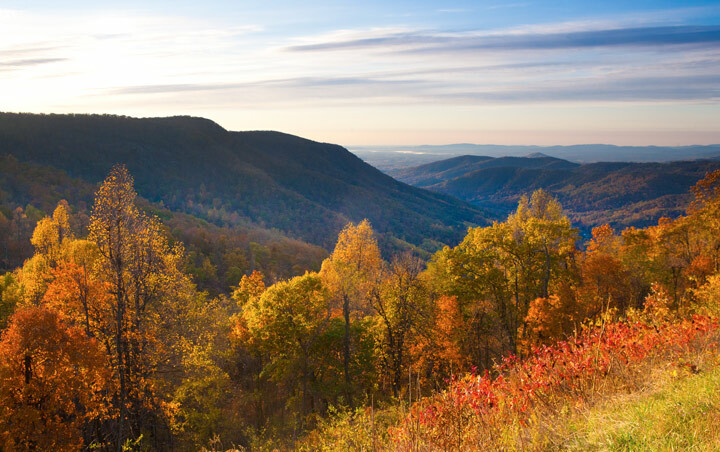 The early sun gradually climbs above the Blue Ridge to illuminate the western autumn ridges of Shenandoah National Park. Photo © copyright by Ed Fuhr. A world of pastels paints the Virginia Piedmont region at sunrise. Photo © copyright by Ed Fuhr. 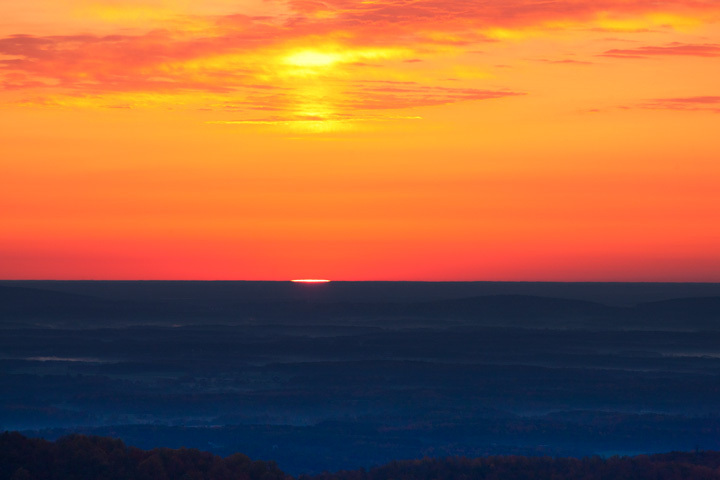 An autumn sunrise over the rolling hills near Montebello, Virginia. Photo © copyright by Ed Fuhr. 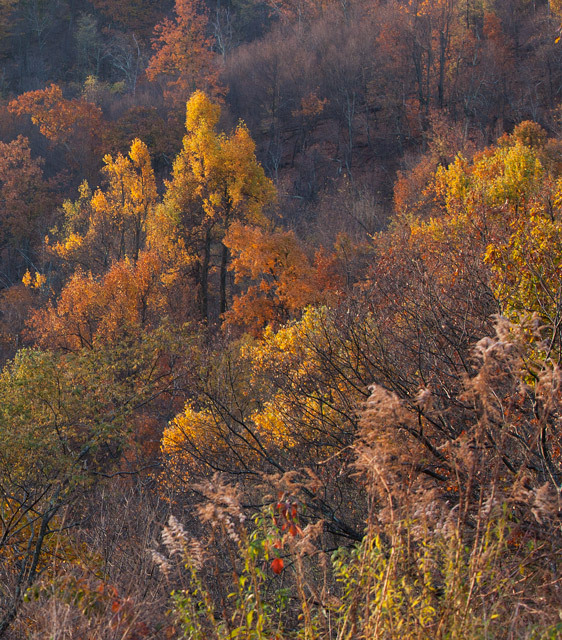 The eastern slope of the Shenandoah National Park holds pockets of color into early November. Photo © copyright by Ed Fuhr. 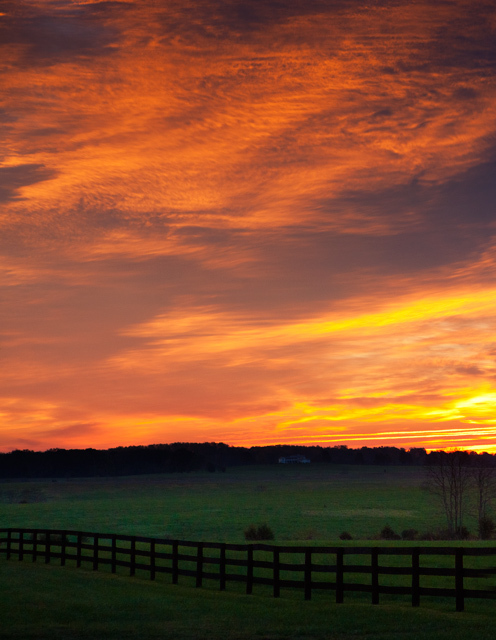 A brilliant sunrise blazes the autumn sky above Virginia's farmland. . Photo © copyright by Ed Fuhr. 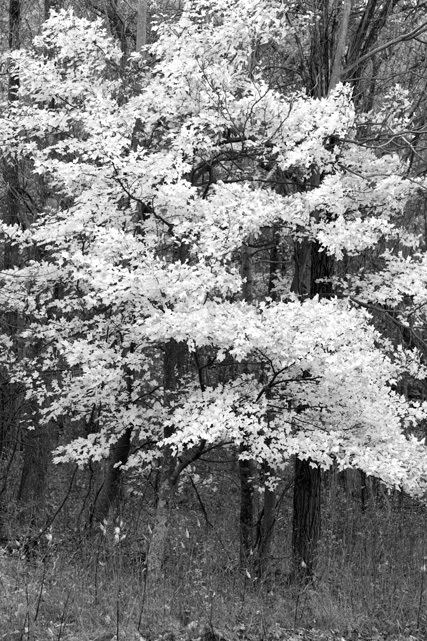 A sugar maple stands out along Skyline Drive. Photo © copyright by Ed Fuhr. After blazing the pre-dawn sky, the sun just begins to edge above the horizon. In 12 minutes and 20 seconds, the sun will be fully above the horizon this October morning. Photo © copyright by Ed Fuhr. 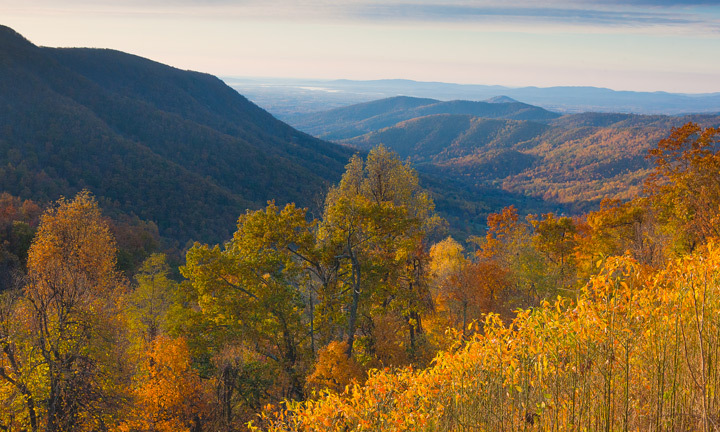 A collection of yellow beech and maple trees dot the Shenandoah landscape in late autumn. Photo © copyright by Ed Fuhr. 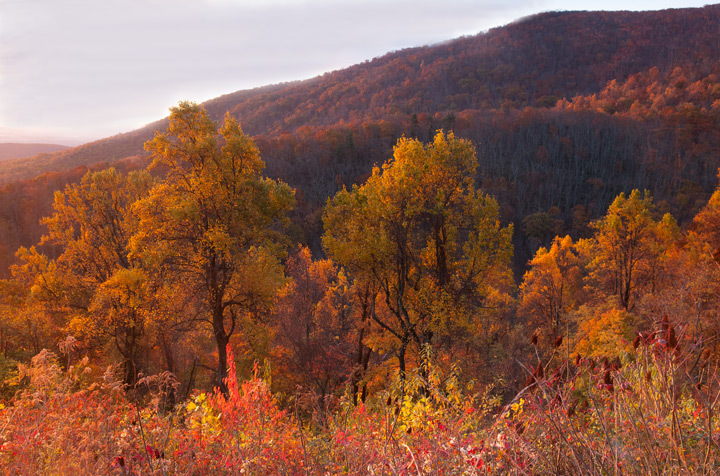 In the first minutes after dawn, the fall foliage in Shenandoah glows a brilliant collection of yellows and reds. Photo © copyright by Ed Fuhr. 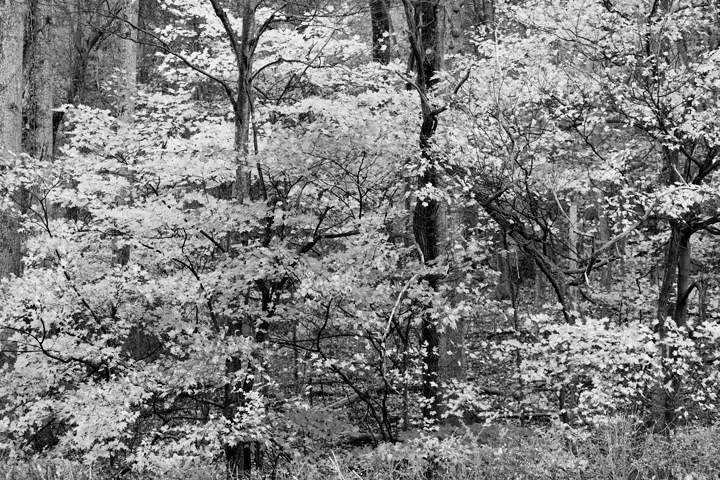 The autumn understory in Shenandoah National Park. Photo © copyright by Ed Fuhr.